Never before has dentistry offered so many exciting options. Dr. Perry and Dr. Dan encourage continuing education. This allows them to remain extremely current with all the new developments in dental procedures and materials. Between the two of them, their extensive knowledge allows them to recommend the most appropriate solution for each patients’ individual needs. 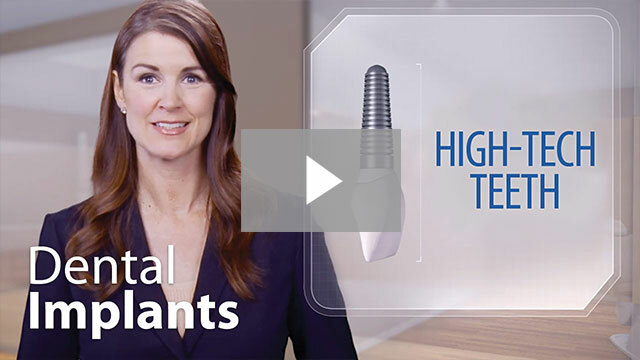 Implants can be used to replace a single tooth or a mouth full of teeth. They can be used to support a single crown or removable denture. The options are endless! Dr. Perry & Dr. Dan are highly trained to help their patients choose which option is best for them. 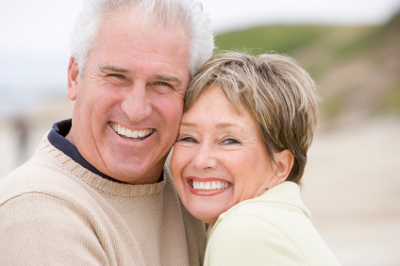 At Rancho Dental we prefer to work in tandem with a highly trained oral surgeon who places the implants. Many general dentists place their own implants, but we place a high value on the surgical skills that our specialists have acquired. Sometimes, due to excessive wear, a history of chronic decay, bite problems or trauma, a person may need to have their whole mouth restored. This is a complex meticulous endeavor that Dr. Perry has been trained to perform. He has been designated as a distinguished mentor at the KOIS Center in Seattle, Washington. This prestigious continuing education center focuses on large complex cases. Dr. Perry has been well trained in diagnosis, treatment planning, and performing these rehabilitations. A mouth in bad shape can be esthetically rejuvenated to look and function like new. When a person has lost all their teeth, one way to replace the teeth and rehabilitate the person’s chewing function is with full dentures. Dr. Perry has been trained in the Staub Denture technique to aid in his patients’ rehabilitative needs. Both Dr. Perry & Dr. Dan have an artistic eye that guides the arrangement of teeth so that they look youthful yet natural. They are experts at making the teeth blend into the face aesthetically. “Partials” are an option when a person has lost teeth but still has some remaining. These appliances are supported by the remaining teeth or implants. Metal clasps are traditionally present to hold the partial denture in. We now have the ability to make these clasps out of tooth colored material so they disappear! Third molars, commonly referred to as wisdom teeth, are usually the last four of 32 teeth to erupt (surface) in the mouth. They generally making their appearance in late teens to early twenties. 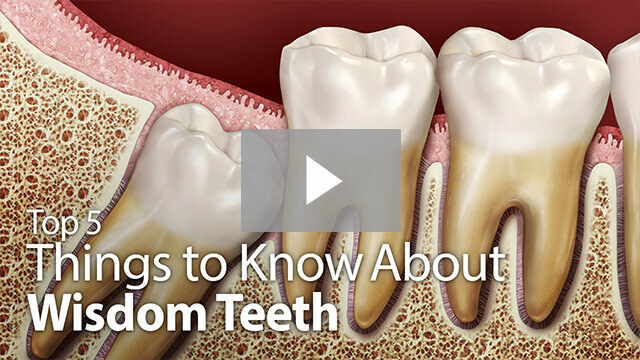 These teeth are located at the back of the mouth (top and bottom), near the entrance to the throat. The term “wisdom” stems from the idea that the molars surface at a time typically associated with increased maturity or “wisdom”. Wisdom teeth may come in sideways, only partially, or become trapped (impacted), leading to pain, infection, and gum line and facial swelling. If any of these conditions arise, it is important to have a thorough examination of the third molars. During the exam a Panoramic x-ray will be taken in order to evaluate the position of the wisdom teeth and determine if they need to be removed. If extraction is recommended, Dr. Perry or Dr. Dan will refer the patient to a local oral surgeon. A Root Canal is needed when the pulp of the tooth, that is the soft tissue within the tooth, becomes infected or inflamed. Deep decay, repeated dental procedures, defective crowns, trauma, or a crack or chip in the tooth can cause such an infection. If left untreated, serious pain or an abscess may result. To prevent such problems, the damaged pulp is removed and the tooth is cleaned and disinfected. A filling or crown is the final step, leaving the tooth to look and feel like any other tooth. Dr. Perry and the Rancho Dental team will find out if you can benefit from root canal therapy.